HORTOMALLAS™ mission is to the top supplier of crop support netting in the Americas and Iberic Peninsula, by offering the best product at the best guaranteed price, this obliges us to be very efficient with the distribution costs of operation. 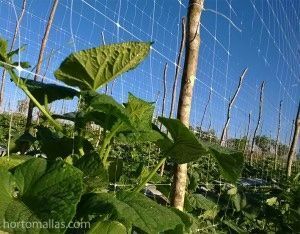 You save time and money using HORTOMALLASTM, the reusable netting that in the past years has revolutionized agriculture in the Americas, substituting raffia wire. With HORTOMALLAS™ you will not need magic seeds anymore!